For Trinis, Social Media equates to Facebook, the #1 most visited site in Trinidad & Tobago. But there's more social media tools worth using. Your website and Facebook page work well by themselves…but together: SYNERGY. Complement your social media presence by using all major platforms, focusing on the platforms most suitable to your business. In a small island of 1.3 million people, there are over 500,000 persons online and make no mistake they are using Facebook. But today’s Trini business doesn’t have to be told that, which is the good news. The bad news is that there are other social media platforms being under-utilized. If you’re a regular Facebook user you would have noticed that they constantly change the way business pages work. You would have also noticed that you no longer get the free organic reach that you used to. Facebook blamed it on the increasing competition among status posts for the top of your news feed. Why pay for Facebook Marketing in Trinidad & Tobago? 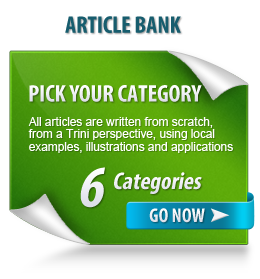 Because the Trinidad & Tobago market is very accessible online is one reason. The other reason is that it’s not so simple anymore as both the local market and the marketing tools are much more sophisticated. To many Trini business owners, this online ‘thing’ is still a mystery as many are still trying to wrap their heads around it. I bet you’ve noticed that you have to pay for ads to get the same mileage you used to get for free. Now to get anywhere on Facebook the majority has to pay. And you’ve probably notices much more Trini ads on the right side of your news feed plus more sponsored posts right on your news feeds. But before you go off throwing money behind Facebook ads, I always advocate (as with all advertising) fully using the no-cost methods first. Social Media is not only Facebook! Even though you’re getting the lion’s share of mileage from Facebook, you should not be putting all your eggs in one basket. Remember, every little bit helps. I don’t provide specialized service plans for the other platforms like Linkedin, Twitter, Pinterest as these platforms don’t require a lot of hours of investment. I usually include these services as part of my Premium website package.